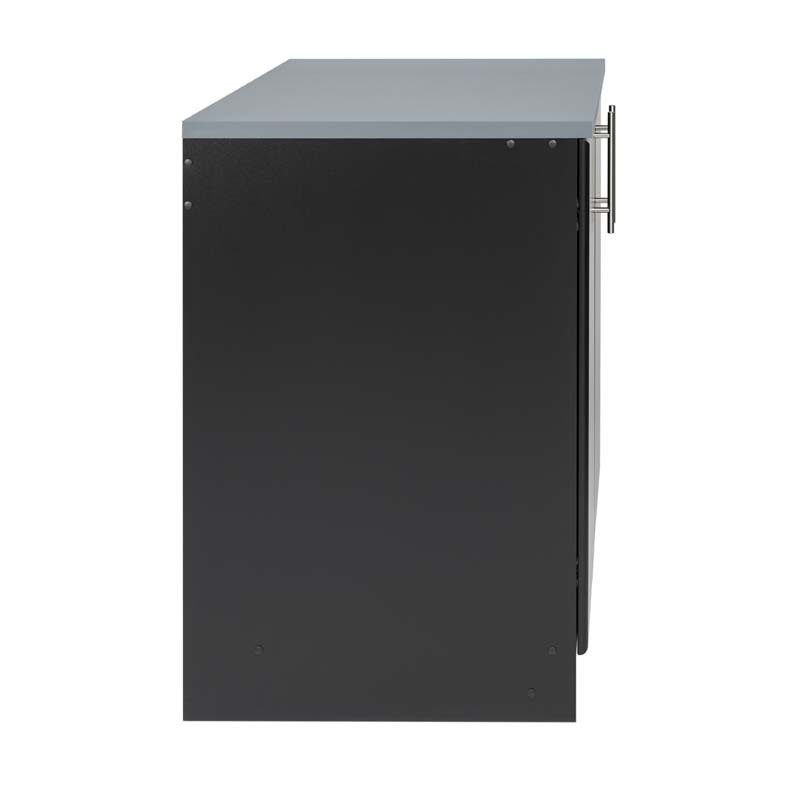 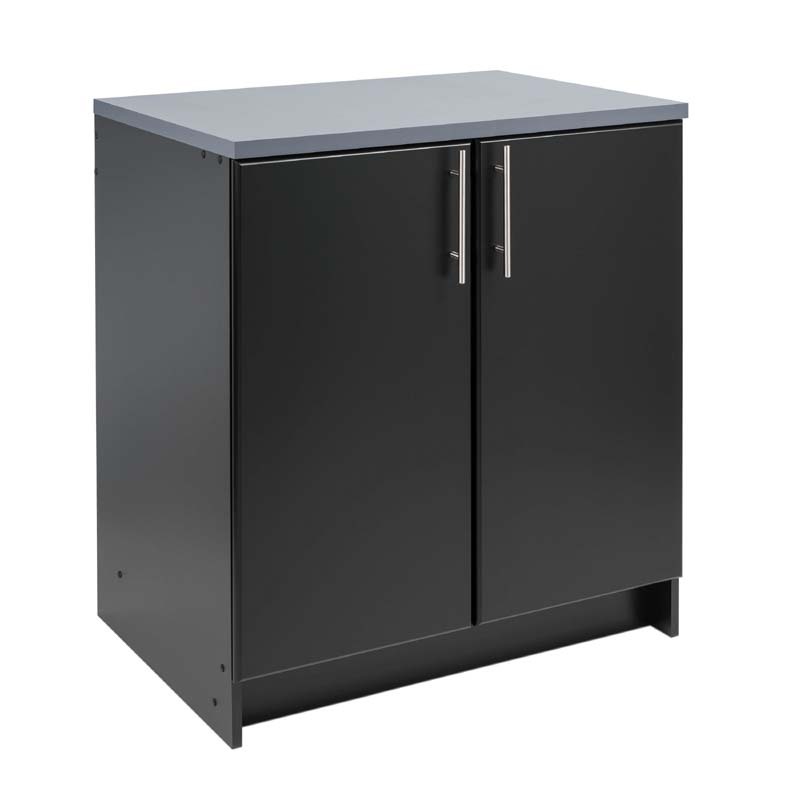 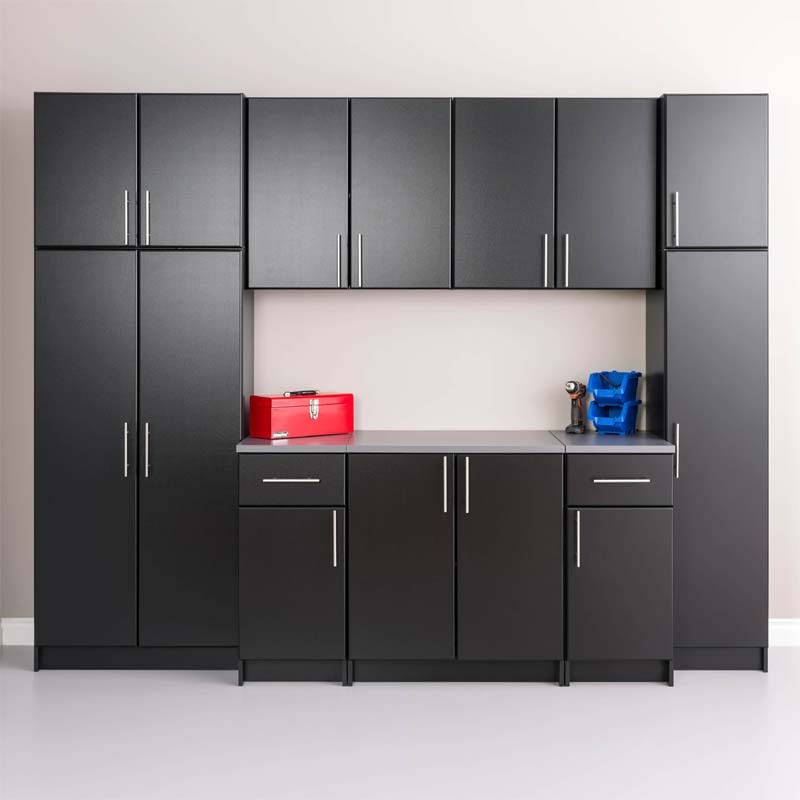 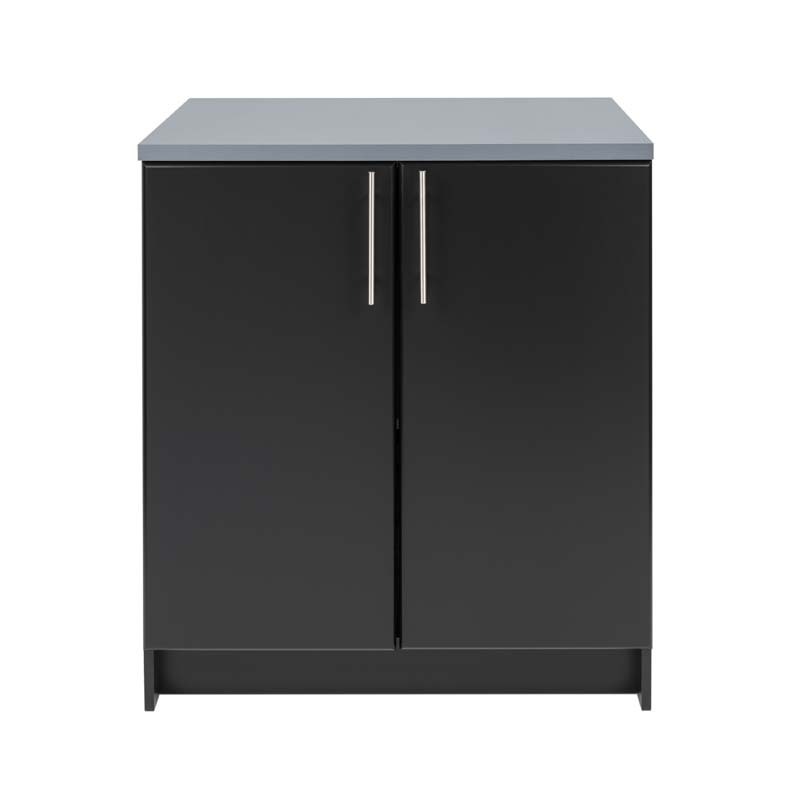 More on the Prepac Elite Collection 32 in Base Cabinet with Counter Top (Black) BEB-3236 below. 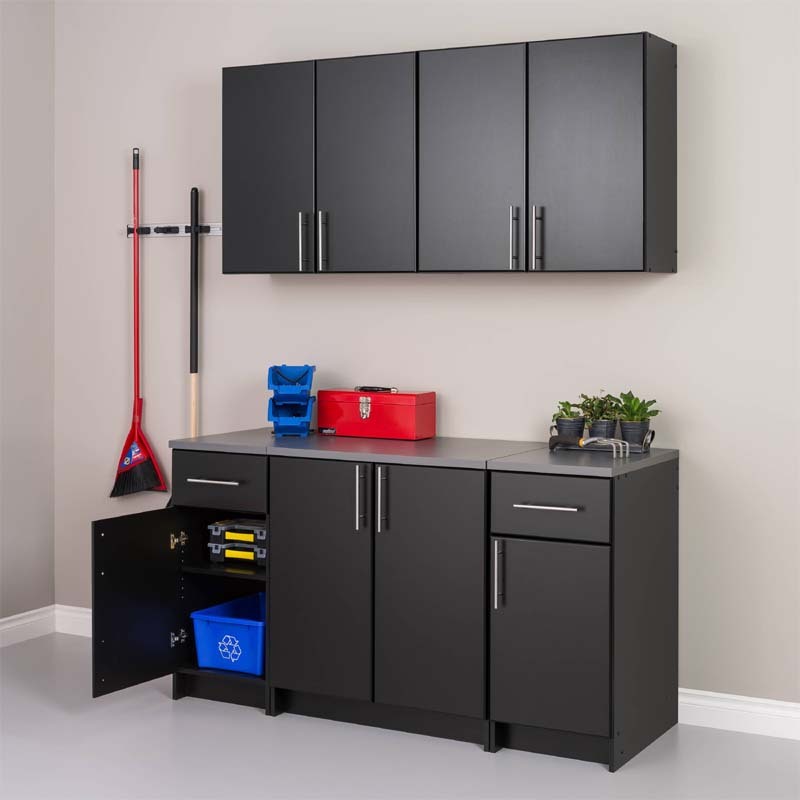 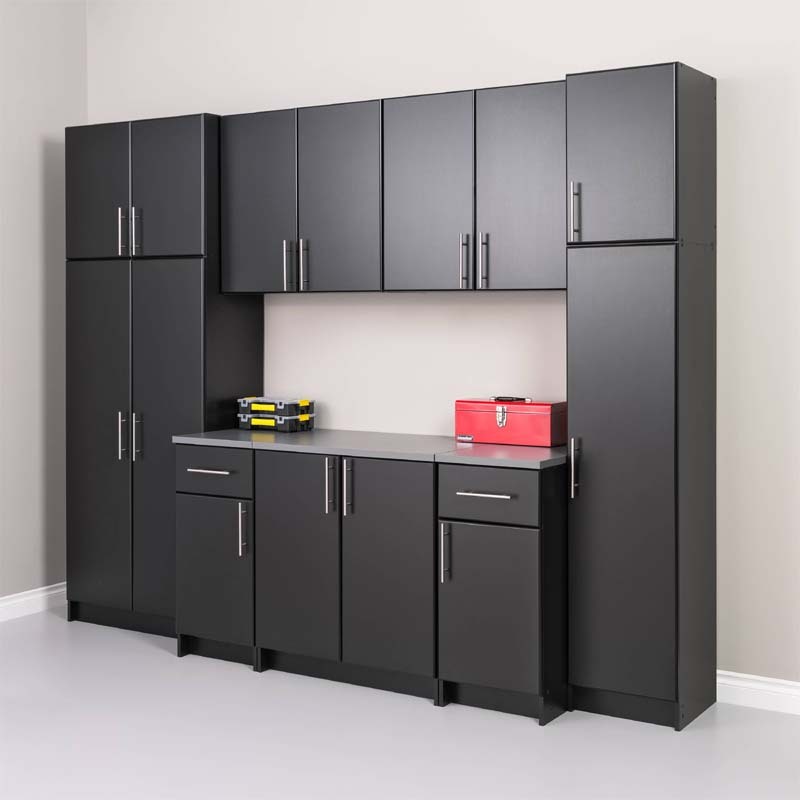 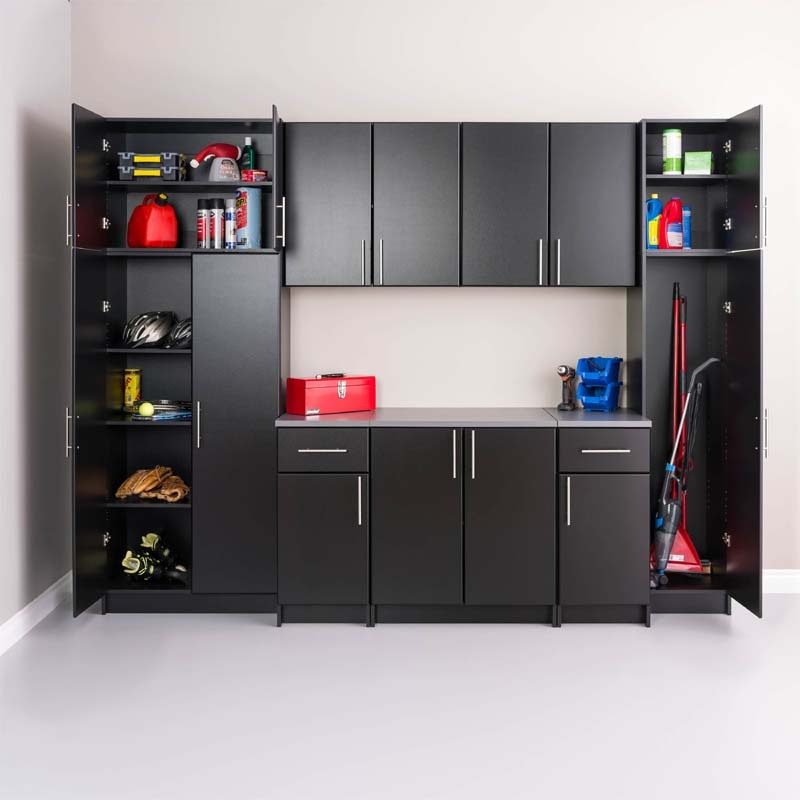 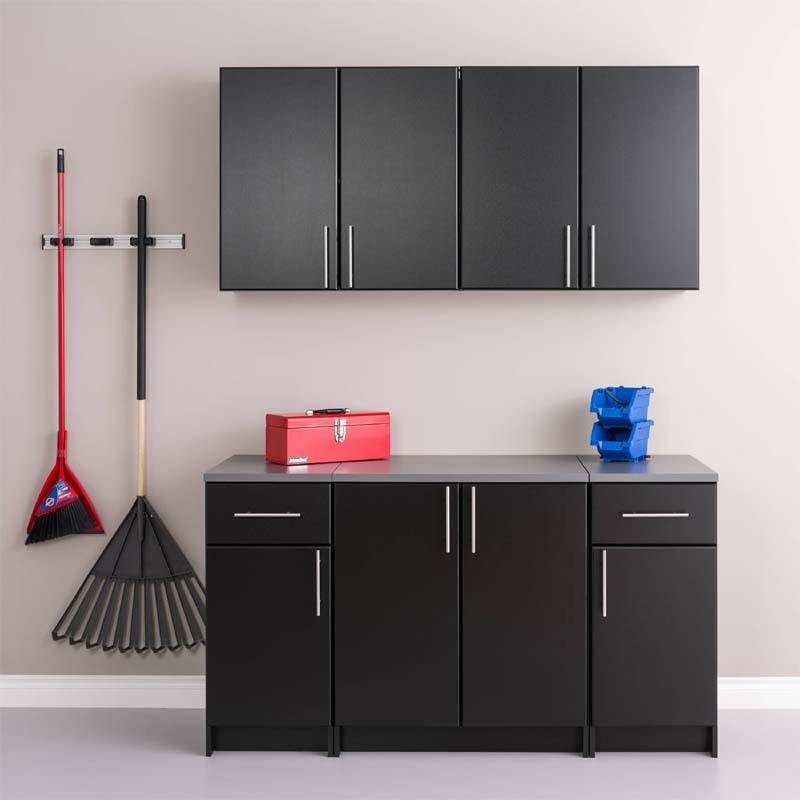 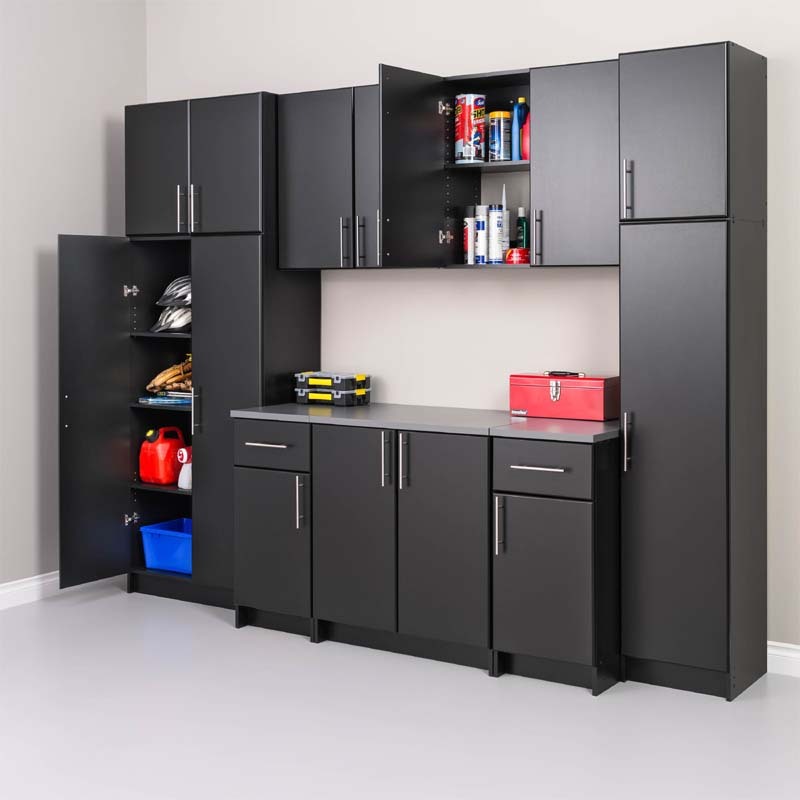 The Elite 32 inch Base Cabinet is the perfect addition to your laundry room, workshop or garage. 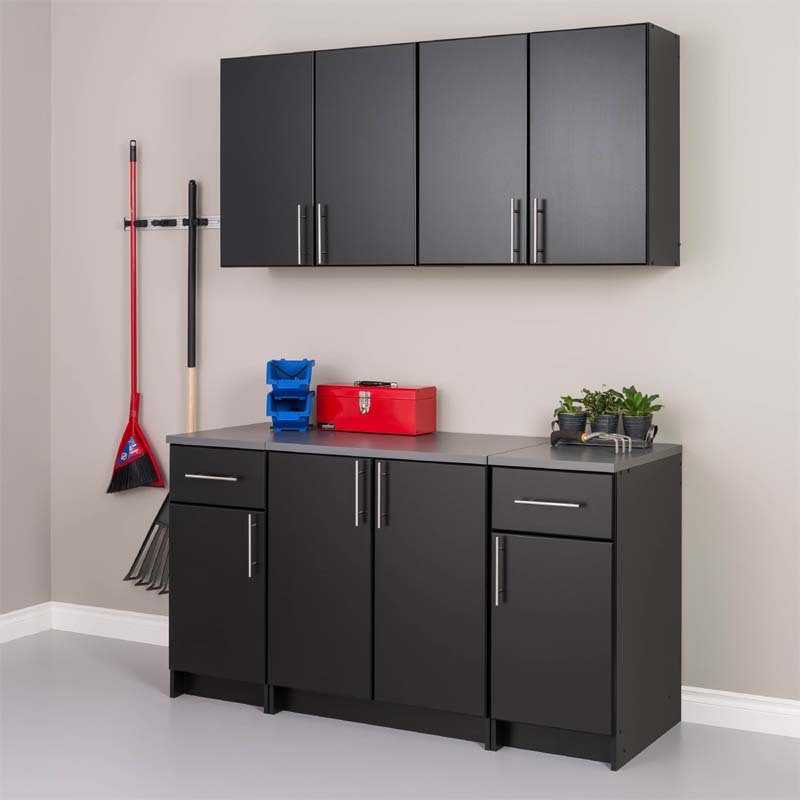 The 1 inch thick grey melamine countertop provides a durable work surface that will last through all your years of projects. 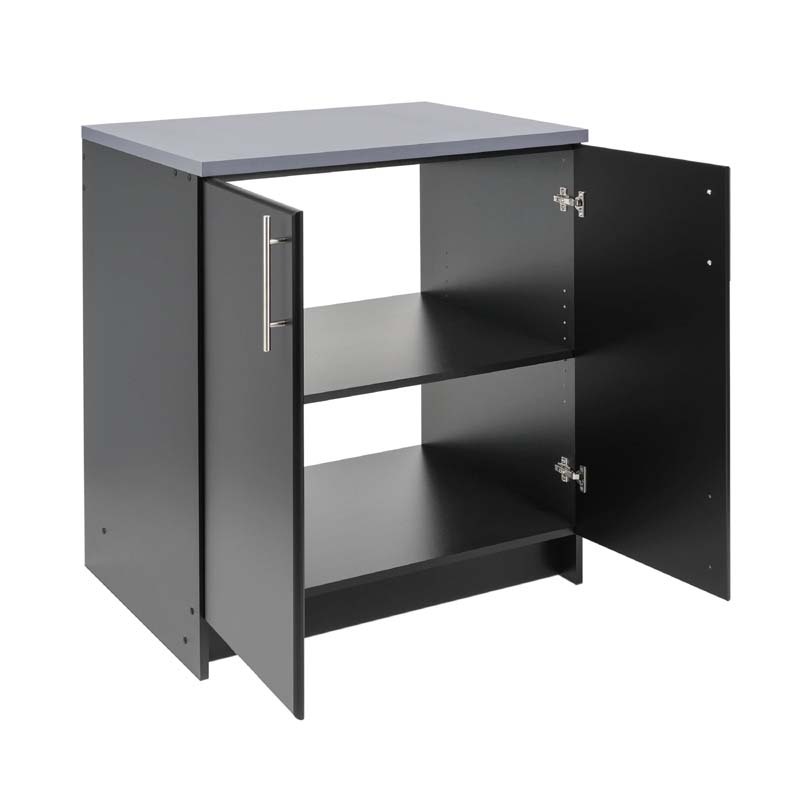 With one adjustable shelf, this cabinet will accommodate anything you need to store in it. 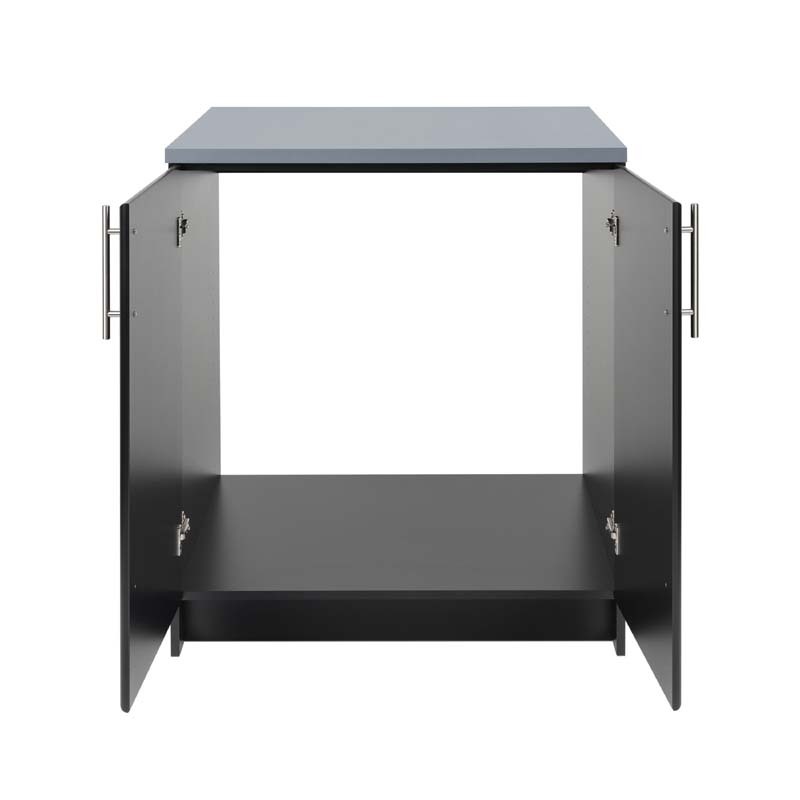 Combine it with other pieces in the Elite Collection for a customized workspace. 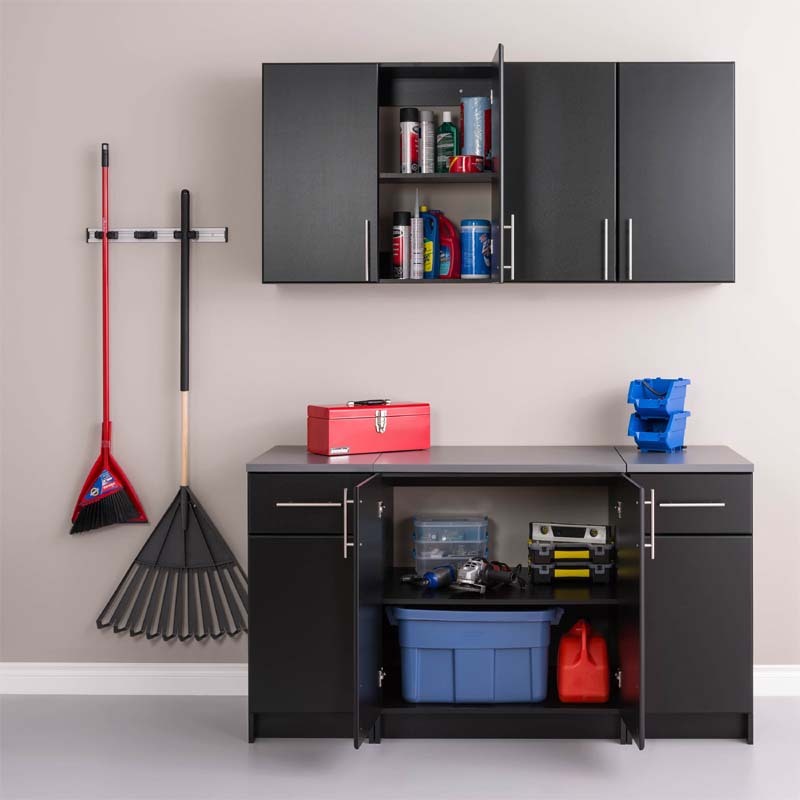 This ultra versatile storage system can be configured in endless ways to create your perfect storage space.